There has been a signifcant lull, I know. Birthdays, workload and other issues have got in the way of blogging time. I came across this article this morning and it made my blood boil! Have we learned NOTHING over the past century? How can this man even begin to get away with this lunacy? I guess my reaction makes me a purist…BUT surely putting our energy and money into ensuring habitat integrity (particularly in countries such as Madagascar) is where it’s at and NOT translocating species to islands which are simply not geared for this kind of ‘invasion’. The fallout does not bear thinking about. Just look at many of the disastrous introductions around the world…from goats to rabbits to rats. It is ecological suicide to bring an animal (or plant) to an island that does not belong there. I would love to hear your thoughts on this one. It is an interesting, if emotive debate. San Juan – Billionaire entrepreneur Richard Branson plans to create a colony of lemurs on an undeveloped island he owns in the Caribbean, saying on Monday it’s a “radical idea” to save an endangered primate that is disappearing from its native African habitat. Branson, who has long been involved in efforts to save threatened animals around the world, said he plans to bring the first group of about 30 lemurs from zoos in coming weeks to Moskito Island, part of the British Virgin Islands, where they would be the only wild population outside of Africa. Experts determined that lemurs would find a suitable habitat on Moskito Island, about 85 miles from Puerto Rico, with its plentiful tamarind trees for food and lack of humans to encroach on their territory, he said. “I was really trying to come up with a radical idea to save them,” Branson told The Associated Press in a phone interview from nearby Necker Island, which he also owns. The businessman and adventurer has secured permission from the government of the British territory to import the lemurs and said he hopes to find a way to address concerns of critics who fear the non-native primates will harm local birds and lizards. He said he plans to start with the relatively common ring-tailed lemurs, which he is acquiring from zoos in Africa, Sweden and Canada, but hopes to eventually have more than a dozen species on Moskito. Lemurs are found only on Madagascar and the Comoro Islands and are considered the most threatened of all primates, according to the World Wildlife Fund. “Maybe in time we could find one or two other islands in the world, preferably bigger islands, so that if Madagascar continues to destroy their habitat the lemurs will at least survive somewhere on the planet,” Branson said. The founder of the Virgin Group, which includes an airline and media properties, has said he seeks to serve a higher purpose in the sparsely populated British Virgin Islands than simply catering to wealthy visitors. He has developed an exclusive ecoresort on Necker Island that showcases renewable energy technology and reintroduced flamingos. Local school children tour the island, a practice he says he will expand once the lemurs get established over on Moskito. His plans to introduce lemurs on 170-acre (69-hectare) Moskito Island have come under strong criticism on environmental grounds from some quarters. James “Skip” Lazell, a biologist who has been doing research in the British Virgin Islands for 31 years and has worked with Branson in the past, says “it’s a horrible idea” to introduce non-native species. Lemurs can be omnivorous and could end up eating the eggs of birds or a type of small lizard that exists only in the British Virgin Islands, he said. Some critics also feel that Minister of Natural Resources Omar Hodge approved the project too quickly and without adequately studying the potential consequences, said Lianna Jarecki, a biology professor at a community college on the island of Tortola. Still, she doesn’t expect any local effort to block the plan because Moskito Island is relatively removed from the rest of the British Virgin Islands. Branson said he hopes to meet with Lazell and other scientists and find ways to resolve their concerns. He said the lemurs’ diet could include “maybe the odd gecko,” but there are hundreds of thousands of lizards on Moskito Island and he doubts the lemurs will affect them in any significant way. 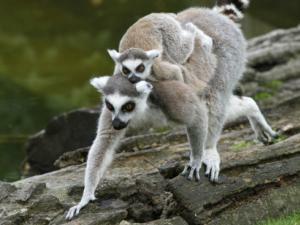 A San Diego Zoo fact sheet on the animals says ring-tailed lemurs principally eat fruit, leaves and flowers. 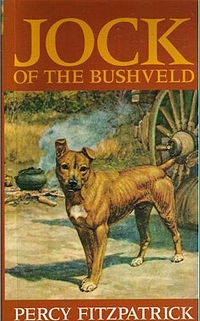 We are reading Jock of the Bushveld to my almost 8 yr old son at the moment. Although the rather long-winded prose could really do with a healthy edit at times, it paints a glorious picture of the Lowveld region well over a century ago. What a paradise it was! The place was teeming with life at every level. Fitzpatrick describes ‘whirlpools’ of racing and plunging impala…a stampede that took minutes to pass him and Jock. He comes across healthy populations of wild dog, massive herds of buffalo and kudu. Leopard and lion are plentiful too. Of course he spends a fairly alarming amount of energy shooting much of what he comes across…for the pot most often of course, though not always. Which brings me neatly onto a fairly big challenge always. When reading this kind of thing to a young, impressionable child – although enjoying the story – one cannot help refer to the fact that all this is no longer. How does one talk to children about environmental issues? During my childhood I formed a deep-seated fear of all things nuclear and a grim acceptance of the notion of a nuclear Armageddon. It literally kept me awake at nights. This did not come from my parents – it was the media. Was that fear a good thing? Perhaps. However, it’s certainly set me against nuclear power as a source of energy and it would take some convincing otherwise, even if it were ever made “safe” and environmentally friendly. The problem with fear is while it can help us avoid harm, it can also have an effect of closing our minds or even becoming fatalistic about things; accepting something is a done deal and that resistance is futile. So how do we relay our concerns about the environment without frightening the heck out of our children? How do we translate some of the frightening images and concepts the media (or even this site) puts forward at times into something they can deal with? Besides setting a good example, we need to empower children; convince them that while things aren’t all sunshine and puppies, they can make a difference and that in fact the future of the planet depends on them; the decisions they make right now and tomorrow. It sounds like a heavy burden for such young shoulders. The key is to keep the message simple and it’s my opinion we should make it one about personal responsibility first instead of perhaps unwittingly creating mini-activists fuelled only by fear; or kids so scared they feel powerless to take any action. Something else from even further back in my childhood with a strong message but a positive influence was a song from Sesame Street – Willie Wimple. It was a big-picture concept conveyed in a way a child could understand – the rhyming also helped with retention. While I couldn’t save the world as a youngster, I knew that littering was something I had a personal stake in – a decision that had an impact on the environment. It’s that simple line from a children’s song that is a common theme throughout many of the articles I write on green living – that the little things all add up to the mess we have found ourselves in. By starting out small and working your way through all the green issues in your life, you can avoid being overwhelmed and possibly giving up – that simple green actions do have an effect. Imagine if the basic concept of the Willie Wimple song could reach the consciousness of however many millions of children in that age group today who are in a situation to understand and act on it. What have you found successful in getting the environmental message through to your children and other kids; without causing them sleepless nights or bad dreams?